Today is December 16, 2012. 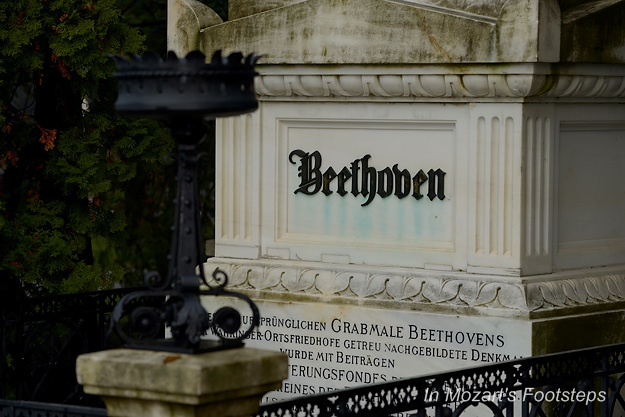 Beethoven was born on this date 242 years ago. Actually, we are not sure that he was born on December 16, but we assume this because church records show he was baptized on December 17. 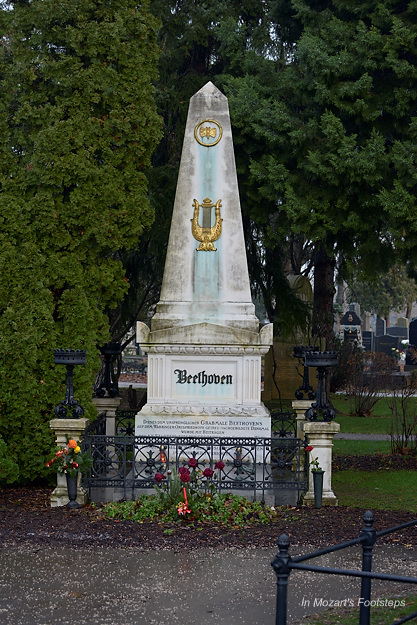 I am in Vienna to work on the final details of my next book, and it is so wonderful to be here on the great composer’s birthday. In thinking how I wanted to celebrate, the only thing I ever though about doing was to visit his grave site in the Central Cemetery and pay my respects. I have been there dozens of times – it is always moving – but never have I been there on his birthday. 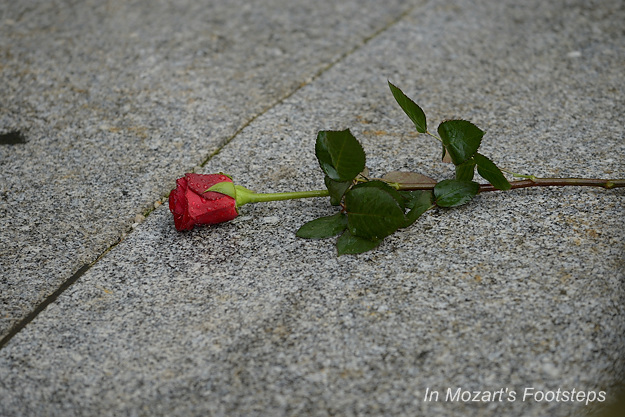 Several years ago, whenever I visited the graves in the Central Cemetery, I started placing a flower on one of the great composers’ graves. 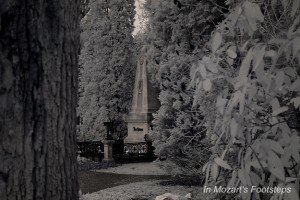 Sometimes it was Brahms, sometimes Johann Strauss, but usually it was Beethoven. 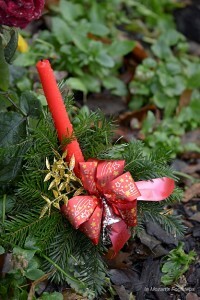 Outside the cemetery, I purchased a single yellow rose (it just seemed right to me), and walked to section 32A. 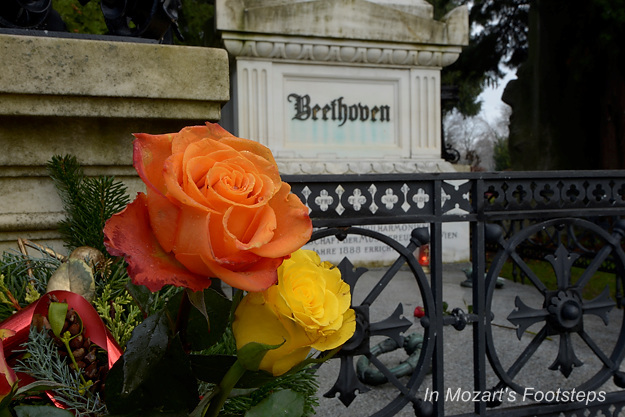 Placing a flower on Beethoven’s grave is always moving to me. Usually his “Ode to Joy” comes into my head, and, as I hear it, I think of the man who created it. I thank Beethoven for all the joy he has given me and has given to the world. How could one person create so much amazing music? This is something I can never fully comprehend. Here is his grave with two birthday roses. The yellow one came from me. 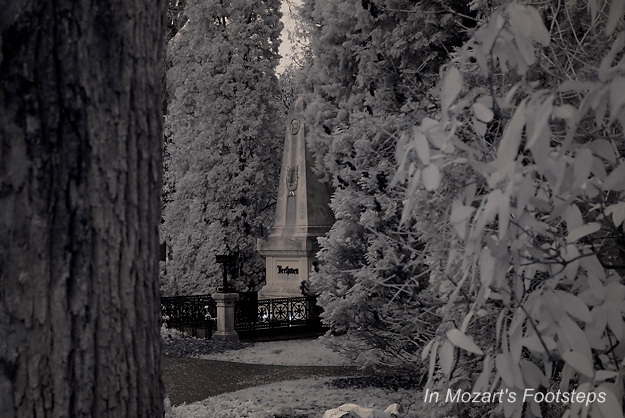 One of the ways I like to honor the great composers is by reverently preserving images from their history through photography, and then sharing them with others. Here are a few of those photographs from today. Click on any image to see it larger. As I was getting ready to leave, darkness fell. 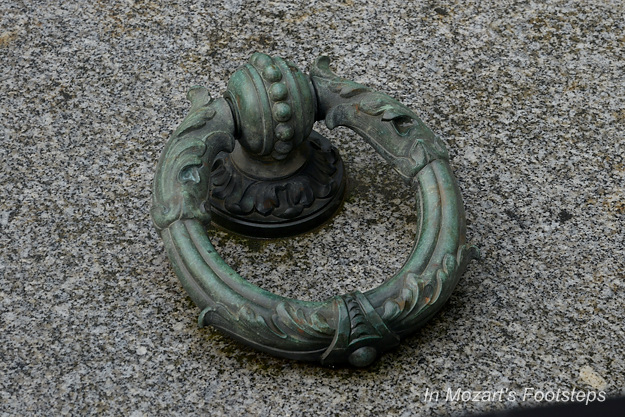 There were two candles as the base of the grave. I have never seen candles here, and can only assume that they were for his birthday. 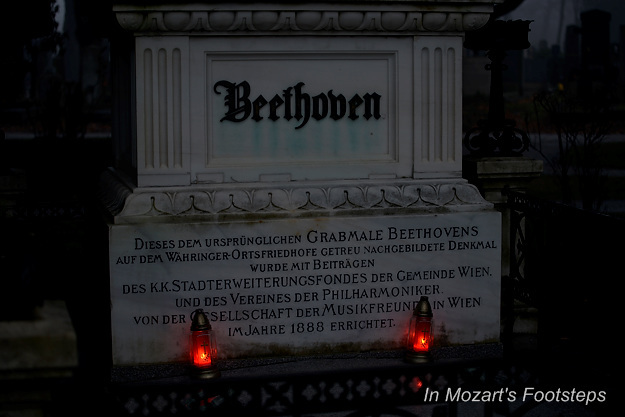 They kept his grave illuminated as night approached, just as Beethoven’s light and music continues to burn almost 200 years after his body expired. 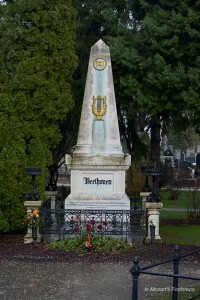 This entry was posted in Classical Music and Performers, Photography, Vienna's Musical History. Bookmark the permalink. David, what a beautiful write up – I’m in total agreement with your thoughts of this genius – my absolute favorite composer of all. Thank you for visiting him today and I could only imagine what that meant to you being there on his birthday – I would not be looking at his grave stone with dried eyes. I admire this man. I listen to his music day and day out – he is the light of my day. Today, I listen to his music non stop. And I blasted Symphony No. 9 “loud” and danced in the middle of my room in joy! You’re right, how could a man give us so much joy, neither could I comprehend. Thank you for sharing with us. My 4-year-old’s favorite composer is Handel, so every year on February 23rd we buy one red balloon and let it out when it gets dark. My son calls this tradition ” A Happy-Birthday Baloon for Handel”. Beethoven was born 242 years ago, but died on 26 March 1827.